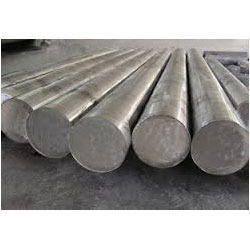 We are a leading Manufacturer of inconel 800 rod, inconel 945 rod, inconel 925 rod, inconel 901 rod, inconel 713c rod and inconel 690 rod from Mumbai, India. The INCOLOY® 800 series of alloys, invented by the Special Metals Corporation Group of Companies, is the result of years of monitoring and maintaining the ultimate chemical properties for high-temperature strength and resistance to oxidation, carburization and other types of high-temperature corrosion. Each one a refinement of the one before, these alloys have set the industry standard in hightemperature applications requiring optimum creep and rupture properties. INCOLOY nickel-iron-chromium alloy 800 was introduced to the market in the 1950s to fill the need for a heat- and corrosion-resistant alloy with a relatively low nickel content since nickel was, at the time, designated a “strategic” metal. Over the past forty years it has been widely used for its strength at high temperatures and its ability to resist oxidation, carburization, and other types of high-temperature corrosion. Applications include furnace components and equipment, petrochemical furnace cracker tubes, pigtails and headers, and sheathing for electrical heating elements. In 1963, the alloy was approved by the ASME Boiler and Pressure Vessel Committee, and the design stresses were published in Code Case 1325. For the first time, aluminum and titanium were listed as purposeful additions (at 0.15 to 0.60% each), and annealed material was differentiated from solution-annealed material. The new terms “Grade 1, annealed at approximately 1800°F (980°C)” and “Grade 2, annealed at approximately 2100°F (1150°C)” came into use. The Code Case covered Sections I and VIII, and listed design stresses for Grade 1 to 1100°F (593°C) and for Grade 2 to 1500°F (816°C). Cobalt ...........................................................................1.0 max. Copper..........................................................................0.5 max. Silicon ...........................................................................0.4 max. Aluminum....................................................................0.35 max. Carbon..........................................................................0.1 max. Super alloys have good creep and oxidation resistance. 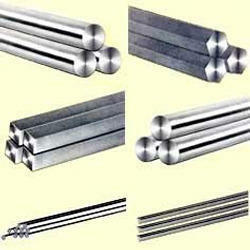 They are also known as high performance alloys, and can be formed in different shapes. Work hardening, precipitation hardening, and solid-solution hardening are performed for strengthening the super alloys. These alloys have the capcity to function at very high temperatures and severe mechanical stress, and also where high surface stability is required. Inconel 690™ is a nickel-chromium alloy. It has high resistance to hot gases or oxidizing chemicals due to the presence of high chromium content. The following datasheet gives an overview of Inconel 690™. Inconel 690™ can be machined using conventional machining methods which are used for iron-based alloys. Machining operations are performed using commercial coolants. High-speed operations such as grinding, milling or turning, are performed using water-base coolants. Inconel 690™ can be formed using all conventional techniques. Inconel 690™ is welded using gas-tungsten arc welding, shielded metal-arc welding, gas metal-arc welding, and submerged-arc welding methods. Inconel 690™ does not react to heat treatment. 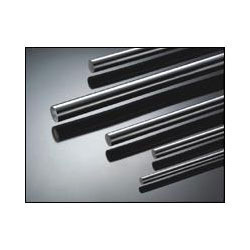 Inconel 690™ is forged at 1038 to 1233°C (1900 to 2250°F). Inconel 690™ is hot worked at 872 to 1205°C (1600 to 2200°F). Inconel 690™ is cold worked using standard tooling. Inconel 690™ is annealed at 1038°C (1900°F) followed by cooling. Inconel 690™ does not react to aging thermal treatment. Inconel 690™ is hardened by cold working. The chemical composition of Inconel 690™ is outlined in the following table. Silicon ...........................................................................0.5 max. Aluminum......................................................................0.2 max. INCONEL® nickel-chromium-iron alloy 601 (UNS N06601/W.Nr. 2.4851) is a general-purpose engineering material for applications that require resistance to heat and corrosion. An outstanding characteristic of INCONEL alloy 601 is its resistance to hightemperature oxidation. The alloy also has good resistance to aqueous corrosion, has high mechanical strength, and is readily formed, machined and welded. The limiting chemical composition of INCONEL alloy 601 is listed in Table 1. The composition is a facecentered-cubic solid solution with a high degree of metallurgical stability. 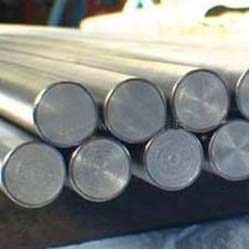 The alloy's nickel base, in conjunction with substantial chromium content, provides resistance to many corrosive media and hightemperature environments. Oxidation resistance is further enhanced by the aluminum content. The properties of INCONEL alloy 601 make it a material of broad utility in such fields as thermal processing, chemical processing, pollution control, aerospace, and power generation. Alloy 601 is a standard material of construction for various types of thermal-processing equipment. Industrial-heating applications include baskets, trays, and fixtures for annealing, carburizing, carbonitriding, nitriding and other heat-treating operations. In industrial furnaces, the alloy is used for radiant tubes, muffles, retorts, flame shields, strand-annealing tubes, woven-wire conveyor belts, chain curtains, burner nozzles, and electrical resistance heating elements. Other thermal-processing applications are thermocouple protection tubes, furnace-atmosphere generators, and infrared radiant screens. Chemical-processing applications for alloy 601 include process heaters, condenser tubes in sour-water strippers, and insulating cans in ammonia reformers. The alloy is also used for combustor components and catalyst grid supports in equipment for nitric acid production. In petrochemical processing, the alloy is used for catalyst regenerators and air preheaters in the manufacture of high-density polyethylene. In pollution-control applications, INCONEL alloy 601 is used for thermal reactors in exhaust systems of gasoline engines and for combustion chambers in solidwaste incinerators. In the power-generation field, alloy 601 is used for superheater tube supports, grid barriers, and ashhandling systems. The alloy is also used for jet-engine igniters and for combustion-can liners, diffuser assembles, and containment rings in gas turbines for aircraft, industrial, and vehicular applications.